Now he and other tech billionaires are funding scientists to help us 'break out'. Some of the world's richest and most powerful people are convinced that we are living in a computer simulation. And now they're trying to do something about it. Philosophers have long been concerned about how we can know that our world isn't just a very believable simulation of a real one. Friend didn't indicate whether Mr Altman was one of those two, or who those people might be. 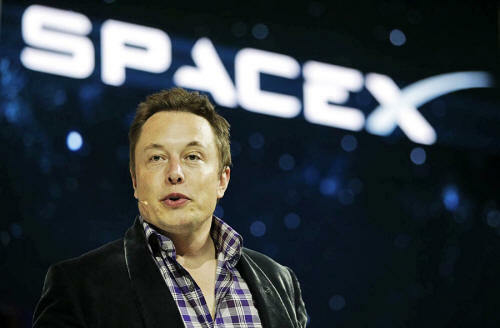 A number of prominent tech billionaires have discussed the idea of the simulation - including Elon Musk, who has used his fortune to fund potentially odd efforts in the past. Musk spoke earlier this year about the fact that he believes that the chance that we are not living in a computer simulation is "one in billions". If we aren't actually living through a simulation, Musk said, then all human life is probably about to come to an end and so we should hope that we are living in one. "Otherwise, if civilization stops advancing, then that may be due to some calamitous event that stops civilization," he said at the Recode conference. He spoke about how the best scenario for dealing with that is a "merge" - when our brains and computers become one, perhaps by having our brains uploaded into the cloud. "These phones already control us," he said. "The merge has begun - and a merge is our best scenario. Any version without a merge will have conflict: we enslave the A.I. or it enslaves us." "The full-on-crazy version of the merge is we get our brains uploaded into the cloud. I'd love that. We need to level up humans, because our descendants will either conquer the galaxy or extinguish consciousness in the universe forever. What a time to be alive!"